For Advisory Board Member Akif Irfan, helping a grassroots organization solve a water crisis in the war-torn Philippine island of Mindanao is both part of his personal responsibility as a Muslim American, and just another chapter in his long relationship with the Goldin Institute. This summer, Akif launched a fundraising drive with his family and friends to support the work of Global Associate Dr. Susana Anayatin and her team, who have provided water pumps to more than 113 schools in the Maguindanao province of Mindanao, serving over 40,000 students in a region where more than 70 percent of the population face obstacles to accessing safe water. Maguindanao is ethnically and religiously diverse, with a Christian majority and a sizeable Muslim minority as well as a significant number of animist tribes, along with a long history of inequity and outright oppression that has sometimes erupted into violence. A local insurgency in Marawi City in the neighboring province of Lanao del Sur exploded when foreign fighters affiliated with the so-called Islamic State joined the fight and prompted a massive response from the Philippine Armed Forces this summer, including the imposition of martial law. When the conflict spread to nearby Maguindanao, the military stepped up its activities there as well. The conflict has literally come close to home for Susana on several occasions, as in September, when improvised explosive devices were detonated on a road she uses occasionally, wounding four people. Nevertheless, she has deftly navigated the political, economic and social hazards, collaborating constructively with all sides to provide tangible benefits to communities wracked by warfare and poverty. To install the water pumps, Susana works closely with military officials who have the heavy machines they need and with the rebel groups who control the territory where some of the schools are located. The Goldin Institute has been working with Susana since 2011, providing her with financial resources and opportunities to meet with grassroots leaders from around the world. 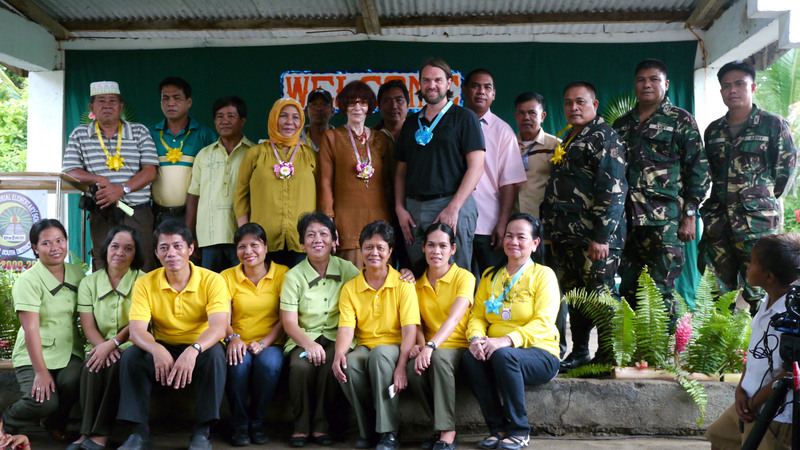 This training enhanced her leadership skills and reputation, and ultimately prepared her to serve as her community’s representative in an ongoing peace process. Late last year, Susana was appointed a commissioner of the 21-member Bangsamoro Transition Commission, which includes members of the Moro Islamic Liberation Front as well as the government and is dedicated to obviating further outbreaks of violence and ultimately establishing stability throughout the region. This summer, the Goldin Institute was awarded a $20,000 grant from the Lush Cosmetics Charitable Foundation for the installation of 16 additional water pumps serving approximately 3,680 more students. The Lush Foundation, a philanthropic leader in supporting grassroots driven social change, also offered to provide information about the project on their website and on select product packaging to help raise awareness about the Goldin Institute’s work. As a Goldin Institute Advisory Board member, Akif has kept track of Susana’s efforts and saw an opportunity to build on this momentum. He initiated a fundraising drive that coincided with Ramadan, the Muslim holy month which ran from the end of May to the end of June. Unexpectedly, it was also the moment the conflict in Maguindanao intensified, adding new urgency to the campaign, since the installation of the water pumps solves an immediate need even as it supports cooperation between parties with historically fraught relationships. Akif continued, “In light of the recent increase in civil strife in Mindanao, the need to address water security has become even more critical.” Tapping his network of family and friends, he has already raised $5,085, to date, with an ultimate goal of $12,500, which will pay for water pumps at 10 new schools, serving thousands more children. The Goldin Institute has committed that 100 percent of the funds raised through Akif’s campaign will be used for the provision of safe drinking water. Akif’s history with the Goldin Institute dates back to 2007, when he served as an intern while an undergraduate at Northwestern University studying economics. Now a vice president at the Goldman Sachs financial firm, he joined the Advisory Board in 2014, has represented the Goldin Institute at conferences in Mexico City and New York City, and contributed to the development of the Gather platform. While the history and status of Filipino Muslims is not well-known even within among Muslims, Akif, whose own family originated in South Asia, points out that the community on Mindanao suffers from discrimination as well as entrenched poverty and the catastrophic effects of climate change, and are therefore more likely to lack access to safe water. Join Akif in supporting access to safe drinking water in the Philippines! 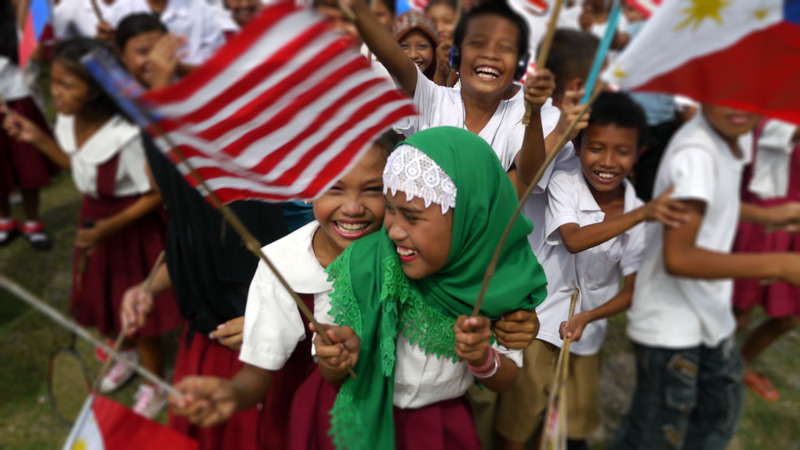 This past year, the Philippines team exceeded all expectations by providing 36 water pumps at 35 different schools reaching a total of 5,884 students in five different municipalities across Maguindanao. 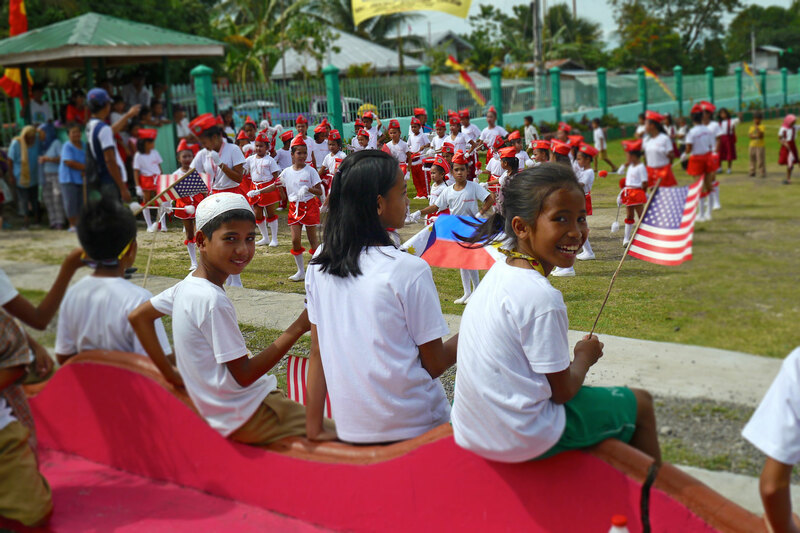 Philippines Water Project Reaches 40,000 students! 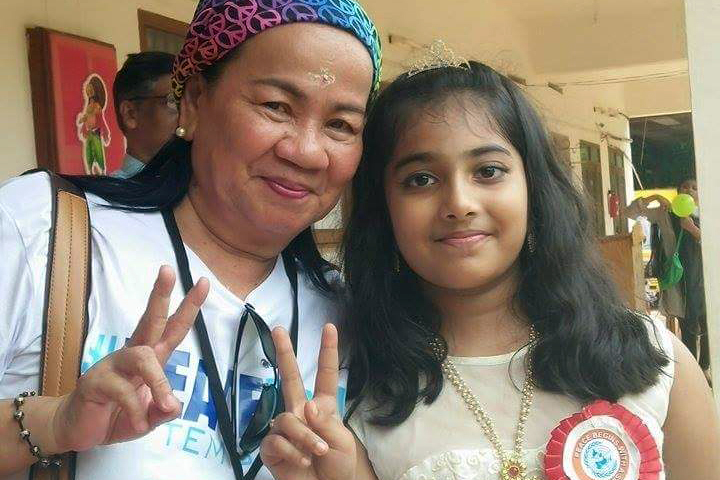 Global Associate Susana Anayatin and her team reach major milestone in providing more than 40,000 students access to safe drinking water in Mindanao. Lush Cosmetics Foundation Charity Pot program makes strategic investment in the Philippines Water project, bringing water to over 3,600 students in Mindanao.